It’s almost that time of year again. It seems like the Christmas season is starting earlier and earlier with every passing year, and even though the relentless consumerism and commercialization of Christmas gets under my skin, I LOVE this time of year. The purpose of Christmas is faith and family, and there’s nothing more important than that. There’s no doubt that gift giving is one of the most fun parts of Christmas (shhh, don’t tell my wife, but she’s getting an Instant Pot this year. She’s wanted one for a LONG time now). I’m sure you can relate to this though: Christmas shopping isn’t always so fun for your budget. Sure you have Black Friday sales, but when you’re hunting for the perfect gift, it can get expensive. These are my tips on how to save money on Christmas shopping! If you EVER shop online, you need to use Ebates. Ebates is a free website that sends you cash back every time you shop online using their links, and they’ve saved me tons of money. Ebates is currently giving back 5% of your purchase if you shop on Amazon, 10% if you shop through Macy’s, 7% on hotel bookings through Travelocity, or Expedia, 9% at J.C. Penny – I’ve even had 30% to 50% paid back to me on purchases of flowers, or filing my taxes online with Turbo Tax. Every time I shop online, I get a check sent to me in the mail within 3 months. It’s a totally free and easy way of off-setting my costs. Many people hesitate to use Ebates because they don’t want to have to spend extra time going through Ebates first, and then clicking to the store they want to shop at. But even THAT is no longer necessary. Ebates lets you attach a button to your browser bar so that you can just go straight to whatever website you’re shopping on, and it will automatically activate your cash back, and give you credit. Try Ebates Right Here And Get A $10 Bonus! Swagbucks is a free to use website that has dozens of ways to make fast cash. In fact, it’s probably the easiest possible way to make a couple hundreds bucks there is. Most people know Swagbucks as a website that pays you a little pocket change to watch videos or fill out surveys. They take a lot of time, for very small payouts. 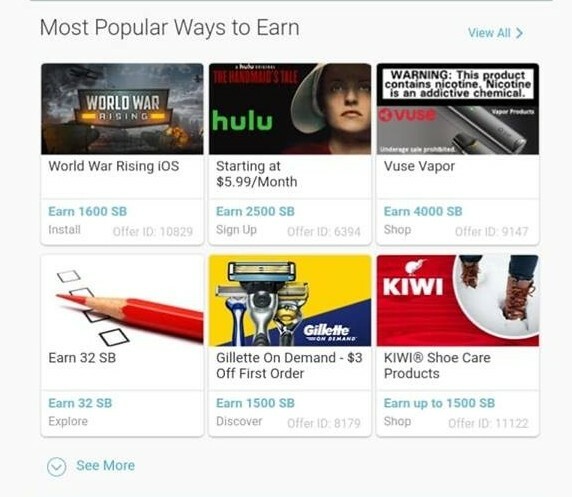 But what many people don’t realize, is that the best way to make good, fast money through Swagbucks is by trying the free offers. So in addition to having an ocean of skin care gels and a life supply of free Hulu, you can make hundreds of dollars within a half hour. This is a scheme that has worked well for my wife and I. With a couple apps like Swagbucks, we make almost $3,000 in spare cash every year without even working. That’s a great chunk of change to make right in time for Christmas! Sifting through a shady thrift store, or a GoodWill, may seem like the last place you would go for Christmas shopping. But you might be amazed at what you can find with a little deal hunting skill. a set of VISA gift cards worth $30… for a single bid of $25. The entire thing… $20. One couple at the auction got a brand new, $105 pair of Chacos sandals for $0.50. By finding the right places to look, you can find some incredible deals. Often, summer camps, colleges, and other institutions will auction off unclaimed lost-and-found items as a fundraiser. Many thrift stores in affluent areas (where teenagers have no concept of the value of a dollar), will have $100 brand items, like Supreme hoodies, for a couple dollars a piece. A ski resort near where I live has an annual auction when they restock, or put old stock on clearance. My Dad had the foresight to go early, before Christmas season, and bought a brand new, $900 pair of skis for my Christmas gift… for $90. And a brand new, $250 pair of ski boots for $50. I think you get it. 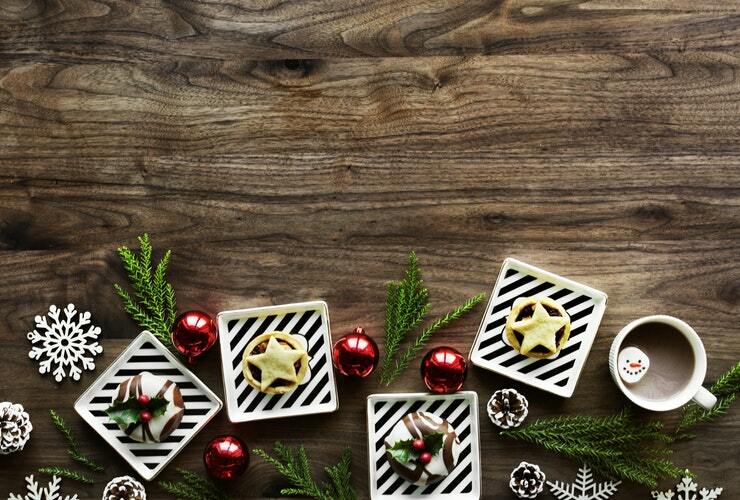 The idea of giving a second-hand item for a Christmas gift may make you skeptical, but you can give some really great gifts this way that your loved ones will enjoy. I know, it’s a bit of a cheesy cliche, but it’s often the simplest, or home-made gifts that are the most meaningful. It depends a little on who your person is, and what they like, but don’t be afraid to give something other than just material gifts. An act of care or service can go a long way, especially around Christmas time. This is especially true with a significant other. Agree on some unique, low-cost gifts to each other and then put thought and effort into making it special! Memory making is one of the most priceless gifts. Take some of the stress out of Christmas shopping this year! Enjoy it! These 4 things have helped me find some great gifts for my loved ones without breaking the bank. Try them out! Thrifting and “the thought that counts” are definitely my two favorite ways to save for presents and for myself. 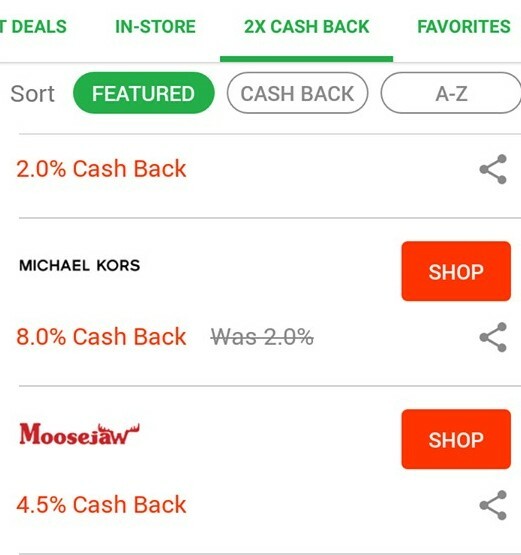 I just recently got introduced to the cashback app called Dosh, similar to Ebates but with local stores, too. Have you heard of it? I hadn’t considered trying Ebates before, but I see here they have Amazon – I did not realize that and could have been making a lot of money! I guess I’ll try it out and get that bonus, then. Thanks for this. Hey Jaime, I’m glad you found it helpful! Yes, I use Dosh as well. It’s great! Unfortunately, I live in a small town and there aren’t a lot of stores that qualify near me, but it’s super easy to use, and I love getting extra cash back every time I shop at Save A LOt. Ebates will give you cash back on almost everything. Amazon is just the tip of the ice berg. If you’re paying for something online, chances are Ebates would give you some money for doing it. Ebates is something I always forget about. I need to be better at using all of these coupon/money saving apps. Overall, I find them all too hard to keep track of. I know many people find great deals, though. Have you heard of coupon cabin? I did get $50 cash back on amazon after buying my running shoes through them. 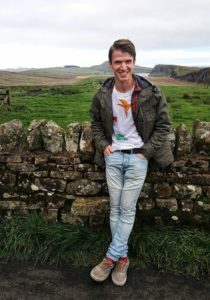 It takes a bit of time to learn the ropes and snag a deal (the good ones are limited), but they are substantial if you can get them. It’s not quick cash back, though–Coupon Cabin usually holds it hostage as “pending” until the return window on the item has closed. So it’s money to enjoy later down the line. Ebates is a really great deal! But I know, I used to forget about it all the time too, and just buy stuff for the full price. Once I added the little button to my browser bar I never forget anymore. It makes things a lot easier. I haven’t tried Coupon Cabin! I’ll need to look into that, thanks for the tip! I had no idea you could make that much with surveys! I’ve only ever heard of swgbucks, what other platforms are there for surveys?. Anyone could use some extra money every year, especially around this time of year. I’ve also found that taking a percentage out of my paycheck every month and saving it for big purchases. Actually, the money that I’ve made off of Swagbucks was mostly off of trying free offers. I’ve never actually completed a survey on Swagbucks. But there are a few sites that offer product testing and surveys that actually pay pretty well – Product Report Card, Pinecone Research, and PaidViewpoint are the 3 I use. They pay in cash, and they’re super easy to use. Saving is also really important! Good point. This is ‘ great advice on how to save money for christmas by using Ebates and Swagbucks earning extra money to use for christmas.Ontop of all that good advise some great tips on shopping at goodwill and thrift stores to allow you to even save more money.